This tool quickly deletes an entire photo series (including the keyframe) without having to select each image. It is located in each Subject gallery in the Inspector. 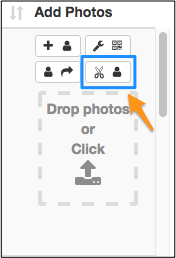 Use the Delete Photos tool to delete only selected images from a gallery.